1. 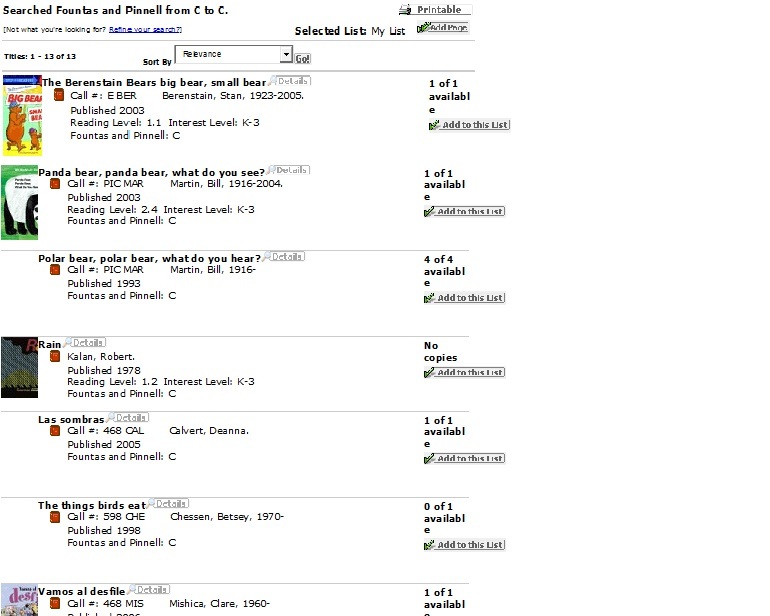 Go to the library catalog. 2. 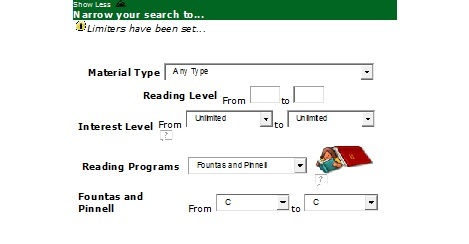 Choose Fountas and Pinnell from the Reading Programs drop-down menu. 3. 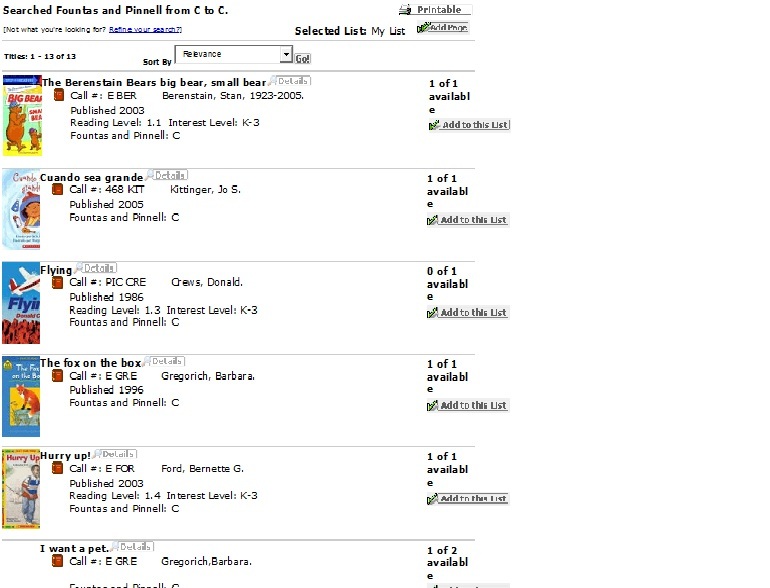 Choose your child’s reading range from the Fountas and Pinnell drop-down menu.